Vinyl lettering is pre-spaced letter or graphic designs made from very thin pieces of vinyl which are flexible, durable, and washable. Because of their extreme thinness and matte finish, the designs look as if they have been expertly hand-painted on your surface. Each vinyl piece is backed with a light adhesive for easy application to walls or other smooth surfaces. The designs stay in place until you are ready to remove them, and removal is easy. 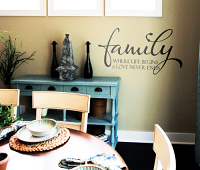 This makes vinyl lettering an ideal decorating option for both homeowners and renters. 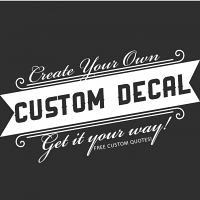 With vinyl lettering you get the unique look of stencils without all of the hassle. Our vinyl lettering does not look like a sticker when applied to your surface. The designs are cut from a single color roll of vinyl and are not printed, which means there is no clear outline or backing to the design itself. When you receive your Beautiful Wall Decals design, simply peel off the backing paper and apply it to your surface. The expressions come as entire phrases and are perfectly spaced and aligned according to the design. The vinyl sticks to the surface directly with its own adhesive. Our designs are of a very high quality and do not resemble stickers as do some competitor products in the marketplace. The designs are generally measured in Length/Width x Height. So a design that is 24 x 11 would be 24" long, and approximately 11" tall. This measurement is for the overall design, with all lines included. 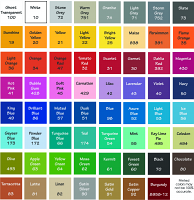 Order color samples and you will receive actual samples of the vinyl we use. You can choose up to 6 colors, as well as an optional Working Sample (a small decal to test on your surface). The designs can be applied to most smooth, hard surfaces such as wood, walls, windows, doors, and mirrors. You can even apply them to appliances like refrigerators, dishwashers, and washers and dryers. For best results, apply the designs to clean non-porous surfaces. The lettering will not adhere properly to fabric, rough surfaces, dirty walls, some glossy paints, or to paint that is not well bonded with the underlying surface. Rough surfaces, brick, and heavily textured sandy stucco is not recommended. If you have any questions about whether the designs will work with a particular surface, please contact us before purchasing. Decals may not adhere well to heavily textured walls. We strongly recommend that you test the surface using a working sample before applying your expression to a heavily textured wall. Unfortunately, the designs cannot be reused. The vinyl lettering is extremely thin and will stretch and tear as it is being removed. By removing the designs, you will also lose the precise positioning of the letters as well as the adhesive. Yes. Humidity does not affect the performance of the lettering. Just make sure you apply the designs to surfaces that are dry and clean. Yes. The designs can be used outdoors but do not apply them to your surface during freezing or very hot temperatures. For extra durability, consider purchasing our outdoor rated vinyl lettering which comes in black or white. This special lettering works extremely well on outdoor surfaces such as car windows, mailboxes, and front doors. If you need a design in the outdoor-rated vinyl, please contact us. Yes. The designs can be applied easily to ceramic or natural tile surfaces, but please note they have a matte finish which may contrast with a very shiny surface. However, the designs will not work well over grout lines. We recommend waiting at least three weeks before installing the vinyl lettering on a newly painted surface. Our designs are generally measured in inches of the overall design, length/width x height. 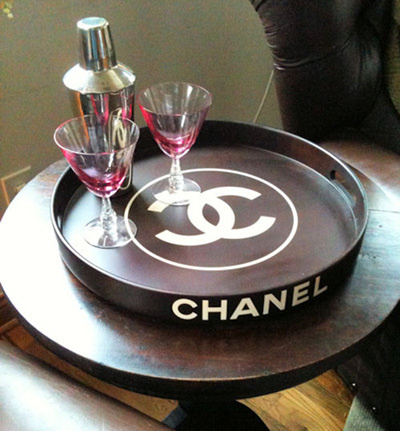 If the description states the design is 20 x 15, that means it measures 20 inches wide and 15 inches tall. Most of our designs have at least 2 sizes available. If you need a specific size that is not listed on our Web site, please contact us and we will let you know if the design is available in your requested size. Everybody says that, but we still haven't found anyone that really needed all their letters to be exactly 1.2456" tall yet. :) Our designs are measured in terms of overall width and height. Overall height means the height of all lines of text combined. Measuring by an individual letter size is difficult unless the font is an all caps, one size style which most designs are not. Overall size is used as the measurement to accommodate the variation between capital letters, lower case letters, and letters with hanging elements (e.g., g, j, y, etc). We recommend installing the designs when you receive them for best results. The designs get more difficult to work with over time, and may not adhere to the surface if they sit for more than 60 days. Yes, all of our products are manufactured at our facility in Columbus, Ohio. We source our raw materials from companies that operate in the US as well. Heck, we even recycle--saving the planet one decal at a time! 1. When applying decals to curved surfaces, remove any excess paper by cutting around the design. 2. With the backing paper still on, place the decal on the curved surface and mark the areas where the design doesn’t touch the surface. 3. Make relief slits along the paper so the decal easily wraps around the surface (be sure not to cut the design itself). 4. Slowly apply the design by starting at one end and moving to the other making sure everything lies flat. If the surface is glass, metal, porcelain, or any other smooth surface, take special care not to let the adhesive side of the decal touch the surface too soon, as these surfaces do not allow repositioning. 5. Burnish the decal onto the surface and then remove the transfer tape. When you shop at Beautiful Wall decals, your credit card information is 100% secure. Each payment transaction is sent over an encrypted network using a secure (HTTPS) connection. The payment details are handled and maintained with the payment provider (Google Checkout, PayPal, or Authorize.net for credit cards and e-check transactions). Our own staff cannot view any credit card details, nor can any customer accessing our system. We do not retain any credit card information at our website or in any of our databases. Yes, we ship within the U.S.A. but also have the option to ship internationally for a flat fee. (customer pays all duties, VAT, customs, etc.). The shipments are originated through FedEx International and/or the USPS. 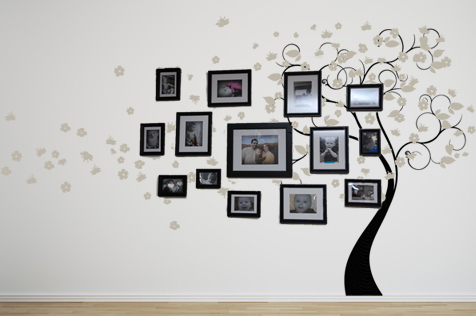 Earn valuable bonus points every time you shop with Beautiful Wall Decals. These points can be redeemed for discounts, free shipping, free products, and even redeemed for Gift Certificates that you can keep or give as a gift. Points do not expire. For more information, see our Bonus Points page.